The army arrayed in its two legions. 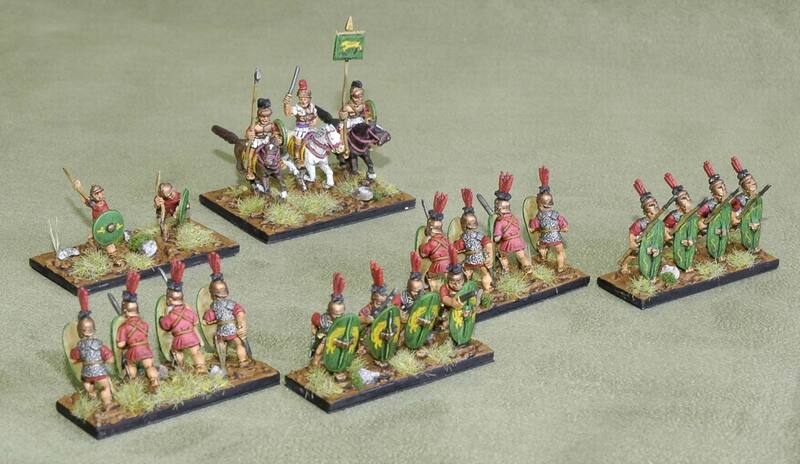 The Polybian Romans (II/33) are essential for my plan to get all the armies for a 2nd Punic War campaign. I eventually settled on Chariot as the range for these figures. They are attractive, though have terrible crud on the castings, which spoil some of their shields and faces, of which the Triarii are the worst. An alternative army with a foot command. There is no choice in the list for this army, but I’ve gone for an optional 4Bd commander and an extra ordinary 3Cv to replace the 3Cv general if this option is chosen. 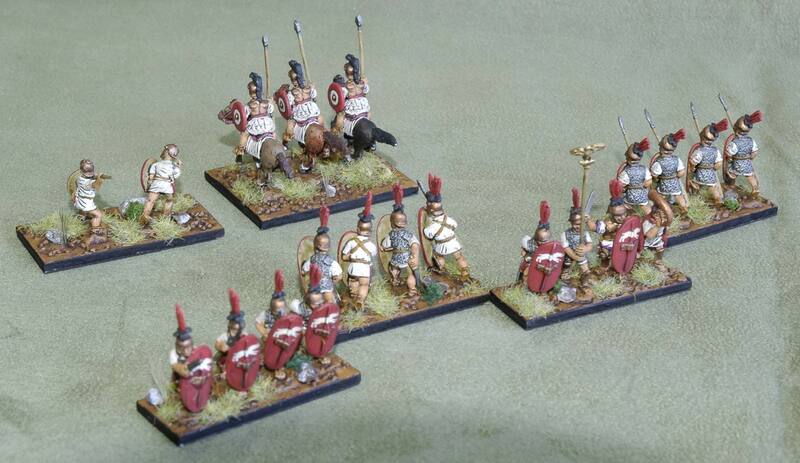 I’ve gone for two colour schemes to distinguish the two legions. One has red shields and while tunics the other green shields and red tunics. Despite the probability that the shields had no patterns, I’ve gone for ones made by VVV (X3). 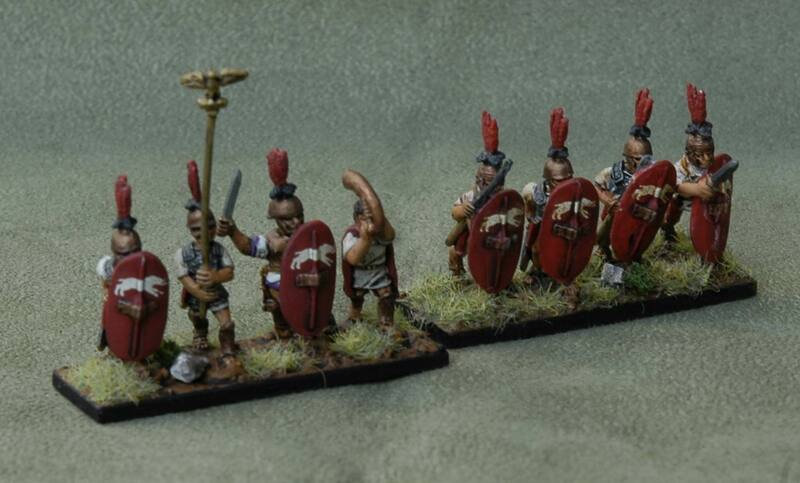 The mounted command and the skirmishers (velites). 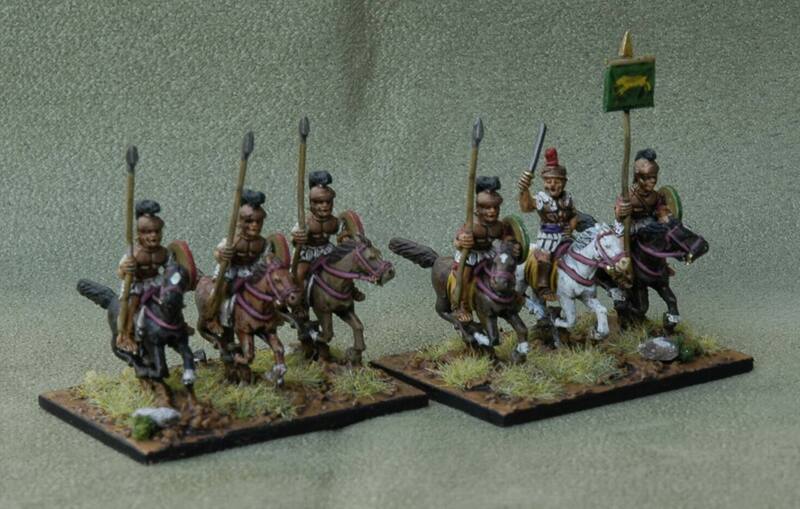 The mounted and skirmishers if a foot commander is used. The element of legionaries shows how I’ll be doing the rest. Rather than differentiating between Hastati and Principes, I’ve mixed figures that have mail and figures that have pectorals on each base. I don’t think the Hastati were exclusively equipped with pectoral armed, nor the Principes with mail. Also at this scale I think the two are best seen as grouped in the same element, as it’s not as though one forms up Romans in two-deep lines of blades. I’ve decided to mix in figures with gladius and those still holding their pila for similar reasons. 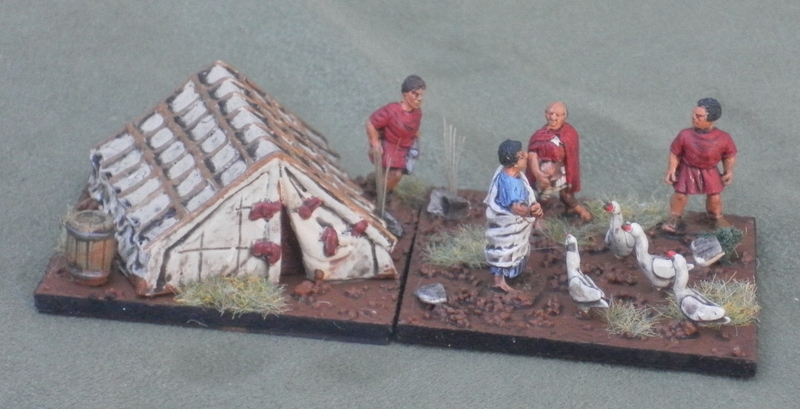 Romans checking the omens with the sacred geese. its the army out of dba army box? or you have choose packs? they look nice. Thanks.It was made up of individual packs, as the Army Pack didn’t have any variations.